We are the leading, national premium department store group in the UK trading principally under the iconic Furnish House brand name. The Domadeco brand is differentiated from other department store groups in the UK by our 4 year history in the UK retail market, our wide geographic reach (across the UK and on-line), our broad range of high quality premium branded merchandise offered at competitive prices, our increasing exclusive House Brand offering and our commitment to providing an imaginative, exciting and relevant shopping experience to our customers. The business will offer high quality, luxurious and affordable home furnishings with first class customer service. Our customers can browse quality and aspirational collections at competitive prices, covering bedrooms, sofas and chairs, living room, dining room, kids, home office and bathrooms. Committed to helping you find - and deliver - your perfect pieces, our dedicated new team of customer services representatives is on hand 7 days a week to answer your queries and questions. The Domadeco team is made up of people with extensive experience of furniture manufacturing, finance and logistics. Together we recognised that there was a better way for people to shop for furniture than to spend several weekends driving around from one showroom to another in search of the right item of furniture at an affordable price. By combining our industry experience with the new possibilities offered by the Internet in 2007 we created an online furniture shopping experience like no other. From the comfort of your home and away from a pressured sales environment you now have access to our collection of thousands of high quality furniture items at low prices, made possible by our lower overheads. In short we offer the widest choice of furniture and can save you time, money and hassle. 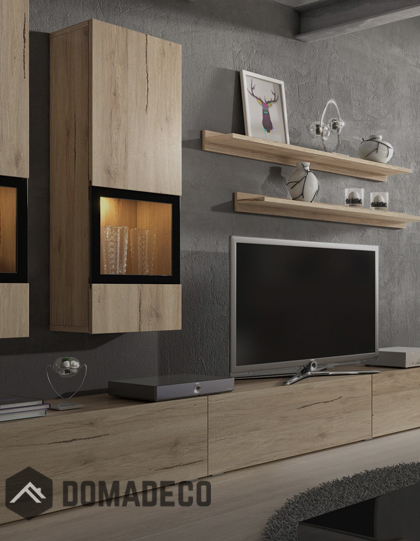 We also recognise that people buying furniture wish to make an informed purchasing decision. Domadeco therefore offers comprehensive online product information. Our friendly and experienced staff are also available online to answer any questions you might have. We hope you enjoy the Furnish House experience.